Prime time begins next month? Rumors about the latest handsets from LG and Samsung have been leapfrogging each other for weeks now, but a new report claims the two flagship handsets may be headed toward a collision course next month. Naver.com (via The Droid Guy) caught wind of a potential Galaxy S5 Prime release date. 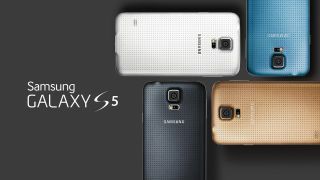 The S5 Prime is the Samsung's purported attempt to one-up its own flagship Galaxy S5 with an even more high-end model. Shunning rumors of inventory being in short supply, the latest scuttlebutt out of Korea claims the 5.2-inch S5 Prime will launch simultaneously on all three major wireless carriers in Samsung's home country "as early as the middle of next month." Along with launch availability from SK Telecom, KT and LG U+ comes a target retail price of KRW 900,000 (about $880, £523, AU$940), although the luxurious handset is expected to fall to a more affordable $700 (about £416, AU$748) after pre-release discounts. Those details aside, prospective Galaxy S5 Prime owners may have a bigger hurdle ahead of them with the possibility the high-end device might be exclusive to Asian markets until supply catches up with potential North American and European demand. There's also the matter of what Samsung will use for the outer shell of the S5 Prime, which has been rumored to adopt a metal chassis instead of the plastic frame that faced some critical scorn on the Galaxy S5. Regardless, Samsung is expected to pack a pixel-dense 2560 x 1440 display into the Galaxy S5 Prime powered by a quad-core Snapdragon 805 processor, 3GB RAM and a hearty 3,000mAh battery. The Prime is also said to include Android 4.4.3 KitKat, LTE-Advanced connectivity, a built-in heart rate monitor, fingerprint scanner and 16MP rear-facing camera, so all it's really missing is a firm release date. Take another look at the Motorola Moto G with our full review!